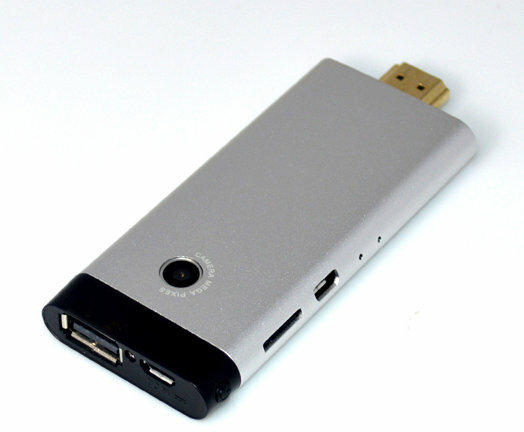 The package contains Kimdecent B13 Android Mini PC, a power supply, a USB Cable, an HDMI Cable, an OTG cable, an AV cable, an “hold” kit, and a user manual in English. 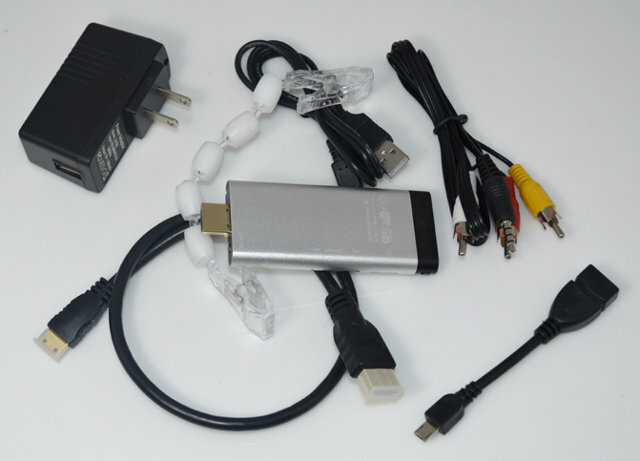 The “hold” kit (there must be a better word) is used to hold the mini PC horizontally in order to use the webcam. I’ve not sure how convenient this is compared to a standard USB webcam connected to a mini PC.